The Lee-Enfield Rifle Number 4 Mark I* was built in Canada at the Long Branch Arsenal and many aficionados consider the old warhorse to be the best of all the variants fielded during the Second World War. 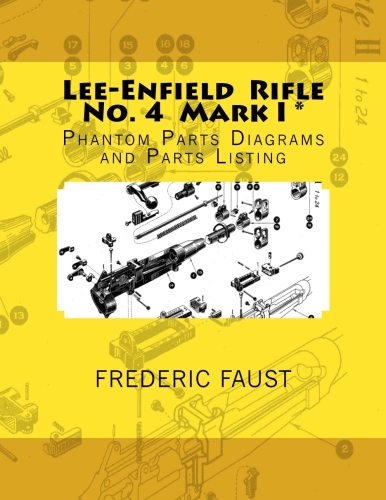 This book contains the parts identification lists detailing by illustration, descriptive part name and part number, for all parts of the Rifle, .303 Calibre, Lee -Enfield, No 4, Mark 1 * and its associated equipment including bayonet, frog, action cover, wire gauze and pull-through. Parts are listed in top-down breakdown sequence to show major assemblies, sub-assemblies, and component parts.